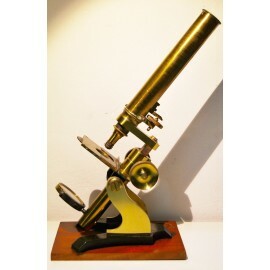 English microscope of the late nineteenth century (1880-1890). MEASURES: 33 cm. height - base: 18 x 13.5 cm. Antiques microscope of the late nineteenth century (1880-1890), England, the mechanics move correctly.